Home security is important to us all, and while a couple of years ago most of us were happy with a simple one way spy hole, times have changed and these are now being replaced by a hi-tech solution, the digital door viewer. It’s easy to see why digital door viewers are set to replace all but Grandma’s standard spy hole over the next few years, with built in door bells, lenses that match existing door furniture, portable wireless viewers, video recording functionality and full colour crystal clear digital imaging displays, the revolutionary door viewers are improving the level of 'at the door' security, guarding against unwanted visitors. Unlike a few years ago, today there is an extensive range of digital door viewers in the market, which is why we have put together a list of our top 3. Bear in mind we couldn’t review all the many models available, so while this article will without doubt help you in choosing the next generation door viewer for your home, there may well be others you wish to consider. Selected as our favourite, like many of the latest designs the Brinno digital door viewer is small and sleek and even those that aren't technology minded can install it. Easily affordable at less than £30 the Brinno digital door viewer features a 1.3 Mega Pixel camera with zoom and low light vision imaging, 2.5” TFT display screen and wide vision 190 degree viewing angle. Our second choice would be the Cannon door viewer. Also affordable with prices starting at around £45 this digital door viewer brings you the added peace of mind of which the Cannon brand offers from years of development and manufacturing of digital cameras. Featuring a 1.3 Mega Pixel camera with one touch operation and bright 3.5” LCD colour display although a disappointing 120 degree viewing angle. 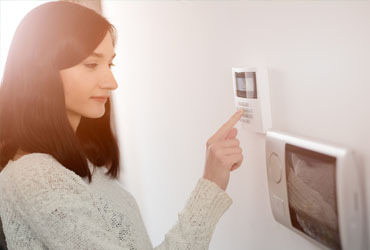 Feature packed, the wireless digital door viewer may offer you more with a built-in door bell and visual intercom entry system but costs in the region of £80 while there is little history or that known about the manufacturer, Entry Guardian. Features include a 1.0 Mega Pixel camera with infrared night vision function, 3” LCD colour display, doorbell with 16 ringtones, two-way intercom, real-time monitoring, remote control locking and 2.4 GHz wireless transmission with 300 metre range. The digital door viewers we've suggested will suit most homes, although with hundreds of models available and every home having differing security requirements, we recommend further time is spent selecting the viewer that’s best for you.